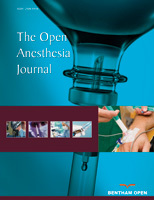 Many medications are combined with local anesthetics for peribulbar blocks to improve the quality of the block, however, few studies have compared the effect of dexmedetomidine and magnesium on intraocular pressure when combined with local anesthetics which was the primary endpoint of this double blinded study. A randomized controlled clinical trial was conducted on 60 ASA Physical Status (ASA PS) I-II patients scheduled for elective posterior segment eye surgeries under peribulbar anesthesia. Patients were randomly allocated to one of three groups of 20 each according to the medications they received. Local anesthetic solution was prepared using 8 ml of bupivacaine 0.5% and lidocaine 2% in a 1: 1 ratio plus 1ml of hyaluronidase (150 units) making a total volume of 9 ml: Group D received: local anesthetic + 20 µg dexmedetomidine diluted with 1 mL of normal saline. Group M received: local anesthetic + magnesium sulphate 50 mg in 1 ml normal saline. Group C received local anesthetic + 1 ml normal saline. Intraocular pressure was measured with the Perkins applanation tonometer immediately before injection and at 1, 5, 10, 15 minutes (min) after injection and then at the end of the procedure, the onset and duration of lid and globe akinesia were assessed. Postoperative analgesia and the first dose of analgesic medication were also assessed. Intraocular pressure measurements were statistically lower in group D than the other two groups at 10 and 15mins. The onset of globe and lid akinesia was the most rapid in Group D compared to the other two groups. The duration of globe and lid akinesia was the longest in group D. Time to first analgesic dose request was significantly longer in group D followed by group M then group C. Visual analogue score for pain was significantly less between group D and other two groups. There were no episodes of hypotension or bradycardia in the three groups. No side effects or complications as hemorrhage, globe perforation, brain stem anesthesia sedation were observed. In our study addition of dexmedetomidine to a peribulbar block was statistically better at reducing IOP, increasing the duration of optic anesthesia and delaying the need for postoperative analgesic dose request than magnesium. Keywords: Peribulbar block, Dexmedetomidine, Magnesium sulphate, Intraocular pressure, Measurements, Local anesthetics, Postoperative analgesic dose. © 2018 Ibrahim and Salah.